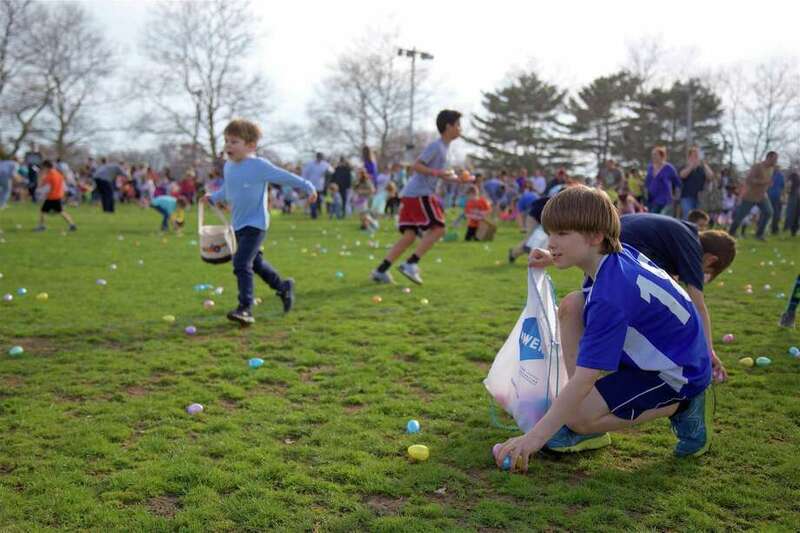 FAIRFIELD — In what truly was an egg-stravaganza, the Parks and Recreation Department, aided by Al’s Angels, put on a perfect pre-Easter event Saturday evening. Around 500 people showed up at this year’s Easter Eggstravaganza at the South Pine Creek Complex, where hundreds of kids took part in the massive egg hunt. This year also featured music, food trucks, crafts, obstacle course games and a “fun zone” of bounce houses and slides. “We have overhauled our Easter Eggstravaganza,” said Gaylen Brown, assistant director of the Parks and Recreation.